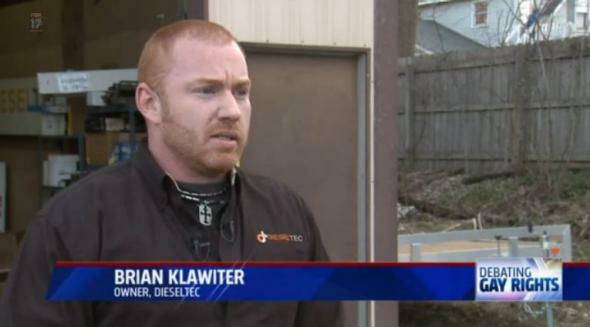 Michigan mechanic Brian Klawiter’s anti-gay rant: Are nuts and bolts the only way to hold things together? 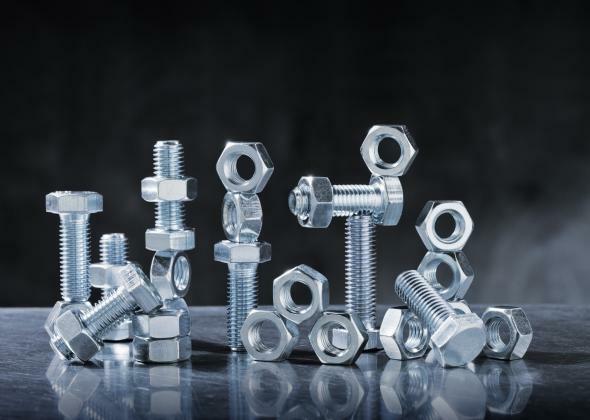 I never threatened to intentionally put someones vehicle together wrong, use you sense, (although it may not have been the best way to elaborate) You need a bolt and a nut to hold something together, two bolts can not, and two nuts can not, you must have one of each, a male and a female. Get it now? Still from Fox17 news report. While we here at Outward will probably not be seeking Dieseltec’s services anytime soon, we appreciate Klawiter’s invitation to use our sense. That feels like an opening for dialogue, and so, in the interest of productive engagement, we’d like to suggest to the gentleman and others like him that there are in fact more ways of holding two things together than the nuts and bolts obsessively dreamt of in their philosophy. Indeed, given that even the lesbian among us admits to being unschooled in the building arts, we turned to Google to check Klawiter’s claim—and we were delighted to find a range of joining options beyond that venerable but limited model. As you can see, this is fascinating stuff; it’s a shame that a craftsman like Klawiter forgot—likely in the heat of his anti-gay, anti-government ranting—to mention them. But that’s what constructive dialog is all about! Hopefully this brief dive into the rich world of coupling will remind everyone that human beings have come up with a lot of ingenious ways to join things, and even if we don’t favor them all, it’s bad manners—and clearly bad business—to speak ill of those who prefer different ones.